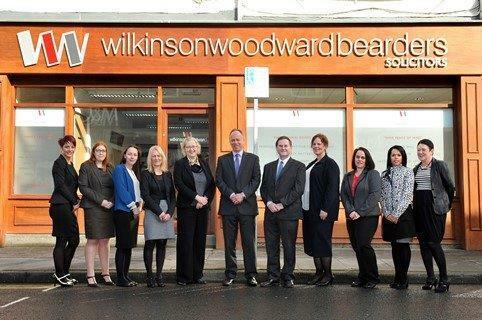 Established in 1888, we're one of Brighouse's most trusted and established solicitors. Our offices in Brighouse, Huddersfield and Halifax house a team of over thirty friendly lawyers with specialisms ranging from family law and mediation to wills, probate, commercial law and conveyancing. Most of us live locally and trained at Wilkinson Woodward, so our knowledge of the local community means we can offer the best quality service, at the right price, right on your doorstep. Richard joined Bearders in 1973, opening the Brighouse Office in 1977 and carries out a wide range of legal work. He advises on Wills, Probate including contentious Probate, Lasting Powers of Attorney, Conveyancing both Residential and Commercial as well as boundary disputes. Richard is Chair of The Bearder Charity set up by the late John Bearder in 1992 to benefit the residents of Calderdale. He is also a committee member of the Private Client Section of the Law Society. Christine deals with residential conveyancing matters including sales, purchases, transfer of equity and re-mortgages. Liza Pickles has spent over 20 years working as a paralegal specialising in family law, dealing with every aspect including divorce, financial settlements and issues regarding children. While she still relishes the challenges of family law, Liza has built on her existing skills and experience and has recently become a trained mediator. Her development in this area comes from her belief that mediation can play a central role in preventing conflicts following family breakdowns from ending up in court. At the start of each job, we'll explain to you how our costs work and how you'll be charged. We can offer fixed-fee work and no win no fee arrangements in appropriate cases. Sometimes Legal Aid (Public Funding) may be available.